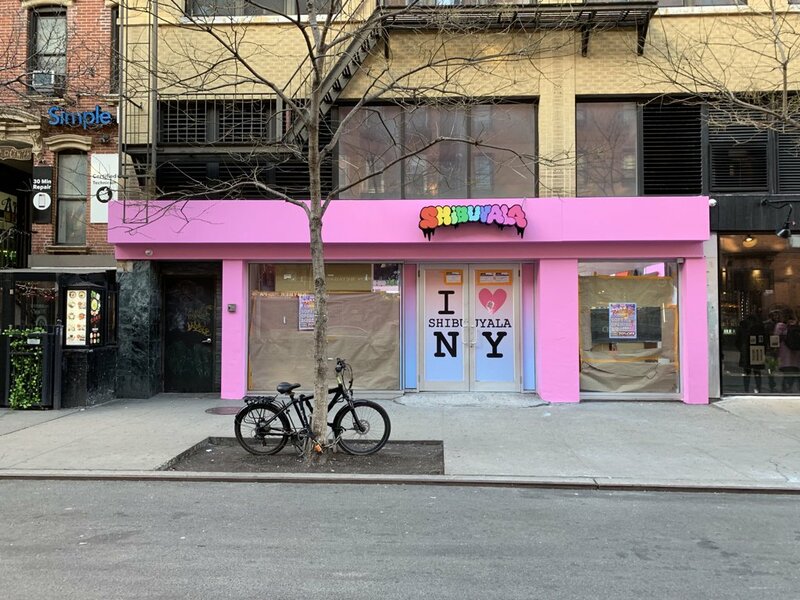 Shibuyala arrived in the United States in 2016, and now has stores in Los Angeles, Las Vegas and Houston with 50 more outposts expected to open worldwide by 2022, per its website. This space has been tenant-free since the 7-Eleven closed in November 2013. 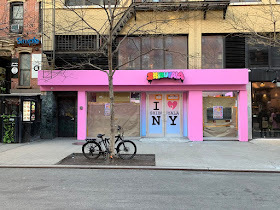 I'm a firm believer we need more pink buildings in New York City, so I'm pretty happy here. Truer words rarely spoken. Suppose you’re also a fan of that apartment building on 7th. These colors remind me of Funkiberry, and anything hint that does that I approve of. 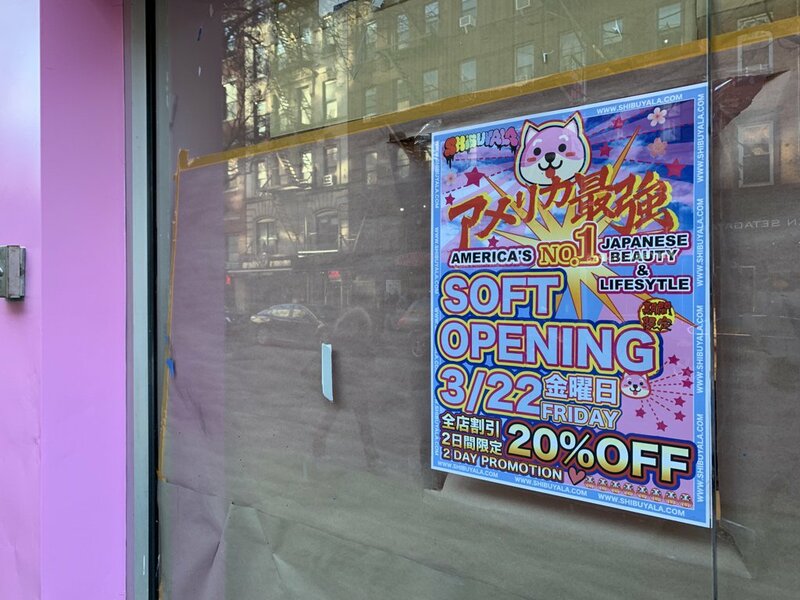 In any case with this opening, St Marks Place is now officially Little Tokyo. There were probably a hundred people on line today waiting for a grand opening bag giveaway. The store was packed. It reminds me of all those stores that sell all those little plastic things you never knew you needed and still don’t. It beats the hell out of the 7-Eleven, Gap and other random stores that tried and failed. Looks like this ones a hit. And what a contrast it was. On one side of 2nd Avenue was a huge crowd waiting patiently to get their special Shibuyala grab bag. 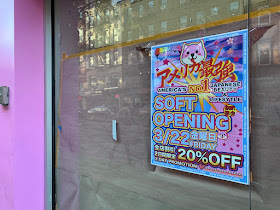 And right across 2nd Avenue was the Kati Roll company, sitting dark and closed due to limited hours. And then there was Moishe’s, which can’t seem to decide if it’s ever going to open again.